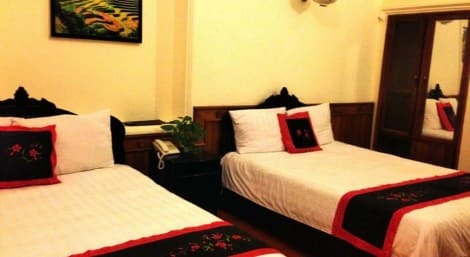 With a stay at Rosaleen Boutique Hotel in Hue (Hue City Centre), you'll be within a 10-minute drive of Imperial City and Con Hen. 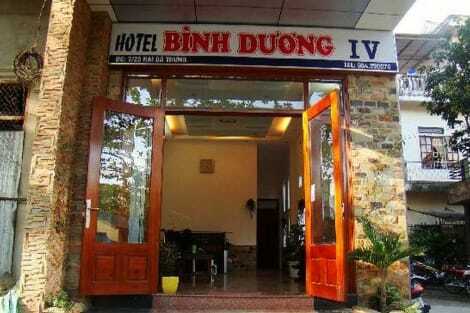 This hotel is 0.9 mi (1.4 km) from Truongtien Bridge and 1.2 mi (1.9 km) from An Dinh Palace. 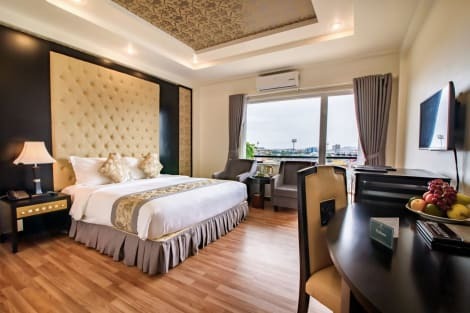 With a stay at Hue Royal Hotel in Hue (Hue City Centre), you'll be within a 10-minute drive of Imperial City and Con Hen. 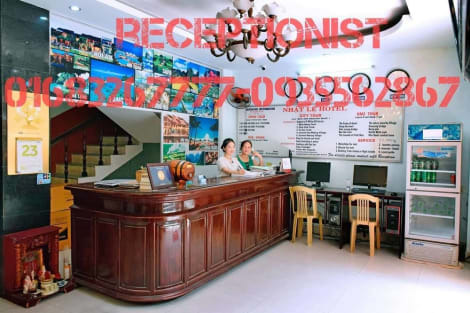 This hotel is 0.9 mi (1.4 km) from Truongtien Bridge and 1.2 mi (2 km) from An Dinh Palace. With a stay at Casablanca Hotel in Hue (Hue City Centre), you'll be within a 10-minute drive of Imperial City and Con Hen. 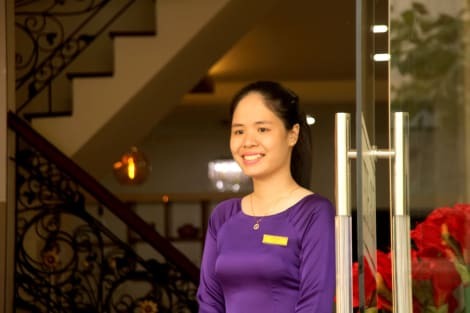 This hotel is 1 mi (1.7 km) from Truongtien Bridge and 1.2 mi (1.9 km) from An Dinh Palace. 10/10 (2/34) Nguyen Tri Phuong St. Satisfy your appetite for lunch or dinner at the hotel's restaurant, or stay in and take advantage of the 24-hour room service. A complimentary cooked-to-order breakfast is served on weekends from 7:00 AM to 11:30 AM. Enjoy recreation amenities such as bicycles to rent or take in the view from a terrace. Additional amenities at this hotel include complimentary wireless Internet access, concierge services, and barbecue grills. 85 Vo Thi Sau st.
A stay at Flora Hotel Hue places you in the heart of Hue, within a 10-minute drive of Truongtien Bridge and Imperial City. 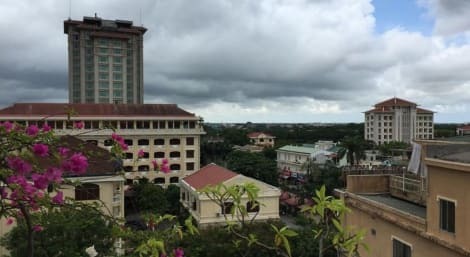 This hotel is 1.6 mi (2.6 km) from Hue Museum of Royal Fine Arts and 1.8 mi (2.9 km) from Dong Ba Market. At Stay Hue Hotel, enjoy a satisfying meal at the restaurant. 4/34 Nguyen Tri Phuong St.
Make yourself at home in one of the 11 air-conditioned rooms featuring refrigerators and minibars. Rooms have private balconies. Flat-screen televisions with cable programming provide entertainment, while complimentary wireless Internet access keeps you connected. Private bathrooms with shower/tub combinations feature jetted bathtubs and complimentary toiletries. lastminute.com has a fantastic range of hotels in Hue, with everything from cheap hotels to luxurious five star accommodation available. We like to live up to our last minute name so remember you can book any one of our excellent Hue hotels up until midnight and stay the same night.